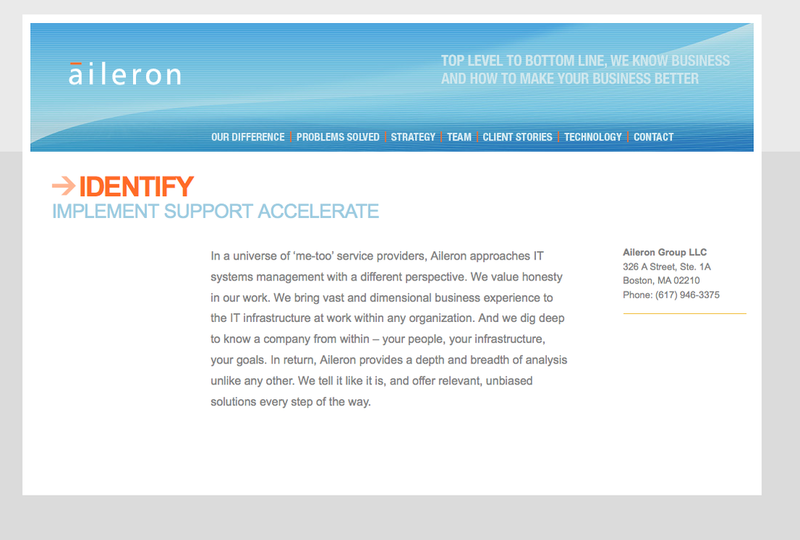 Aileron was an IT services company made up of a wholly unique, highly skilled and experienced individuals. 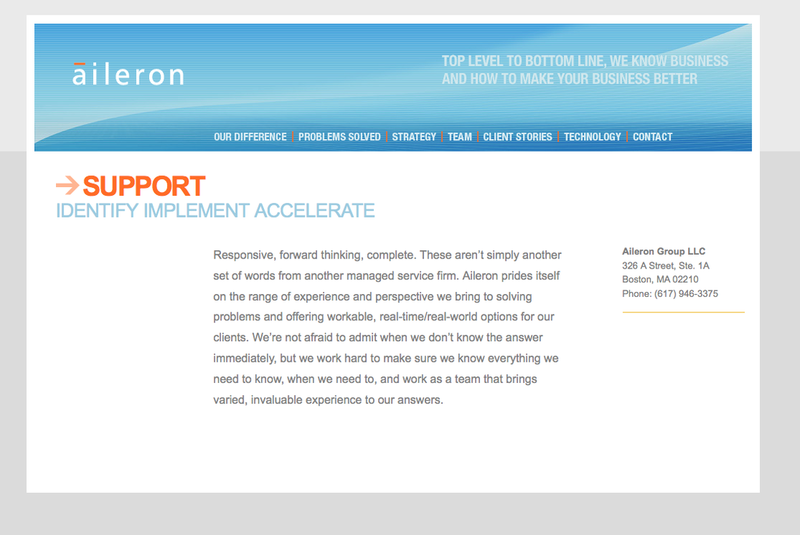 Extremely responsive and service oriented, Aileron stood out in a sea of IT services companies large and small. None of the company’s communications offered even a glimpse into the specialized benefits Aileron delivered. 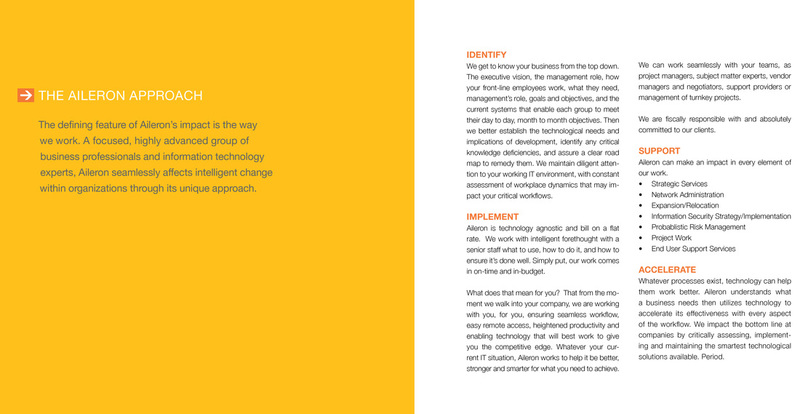 Brought in as an consultative resource and eventually becoming the de facto creative director and content provider for the company, I worked one on one with company partners to develop a pinpoint messaging and communications platform which we transformed into brand communications across digital and traditional platforms that successfully developed new audiences, offered a wider range of services to current customers and set a boutique-footprint in the landscape of IT companies. 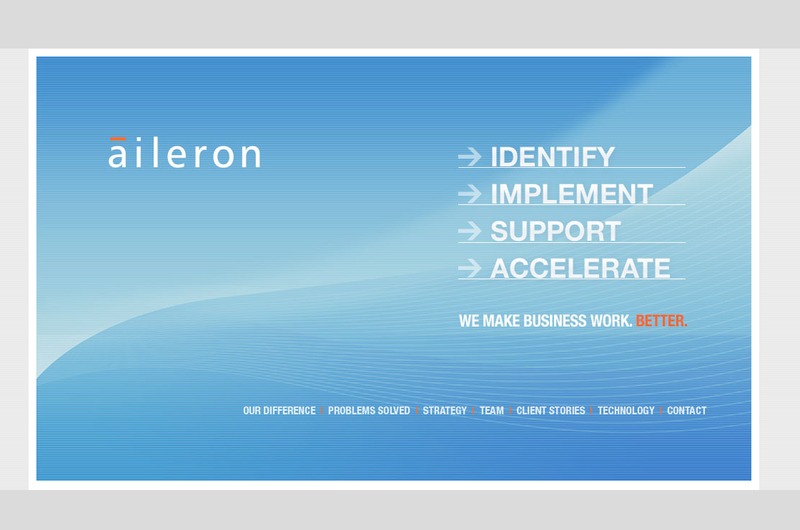 Aileron eventually split into two companies, effectively sustaining the core Aileron business while developing an iCloud delivery service that has continued to grow audiences throughout New England.